Guest post by Michael Deane, editor at Qeedle. Artificial intelligence is transforming industries across the board. Since it automates key processes, cuts overheads, optimises staff time and generally boosts efficiency throughout the product cycle, there are few businesses that can afford to be AI-free in 2019. Retail is no exception. It’s becoming increasingly clear that the methods that worked back in the day – discounts, sales, friendly and efficient customer service – are no longer enough in a competitive landscape that is increasingly dominated by the likes of Amazon. It’s in the interest of retailers who wish to survive to step up their game and start automating key aspects of their business. But in order to really reap the benefits of automation, it’s important to bring deep learning into the mix at the same time. Today’s customers have little interest in one-size-fits-all generic marketing messages, meaning that however carefully crafted it may be, your newsletter will go straight in the trash if it’s not engaging with them directly. While privacy concerns are still an issue for the general public, most are happy to share personal information if it means a more engaging, personalised shopping experience. Stores have been using customers’ previous purchases to define personalised recommendations for years, and most of us can remember taking our first steps on Amazon and seeing those “If you bought X, you might be interested in Y”-style messages. Nowadays, consumers expect a bit more. 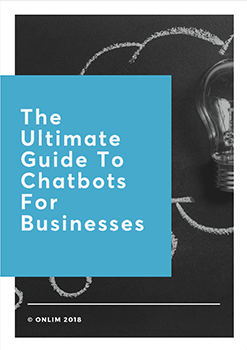 Over the past few years, brands with their finger on the pulse have been using chatbots to welcome customers and get them started on their purchase-making journey by asking them about what they’re looking for, helping them narrow down several product options and ultimately recommend something that’s highly adapted to their needs. At this point, chatbots are already great at speeding up the sales process and taking the weight off the shoulders of sales reps. But it will be thanks to AI and deep learning that they will really come into their own, with the ability to build on previous conversations and leverage consumer data to provide increasingly personalised solutions. While we’re looking towards the years to come, we might as well get futuristic. Online retailers aren’t the only ones who can tap into the power of the bots: the latter may well become a fixture in brick-and-mortar stores as well. Actually, when it comes to robots, the future is already here to a certain extent. Flippy the burger chef made its debut last year at the Pasadena-based Caliburger restaurant, while unmanned convenience stores such as Amazon Go (US) and Bingo Box (China) are increasingly the focus of attention. Autonomous customer service robots – the physical incarnation of chatbots, if you will – are still pretty thin on the ground, but those that are already here have already made a huge impact. The US-based home improvement chain Lowe’s introduced LoweBot to its San Francisco Bay stores back in 2016. LoweBot monitors inventory, helps customers navigate the stores and answers simple questions, enabling human employees to focus on more complex queries requiring a higher level of expertise and problem-solving skills. SoftBank Robotics (Japan) has taken things one step further with Pepper, a doe-eyed, waist-high humanoid that is capable of recognising emotions and interacting with them accordingly. Pepper is currently “employed” as a receptionist in several offices across the UK and in banks and hospitals across Japan. Today’s customers not only require a highly personalised experience and amazing service, they also expect to find the goods they want when they want them, delivered bang on time. The huge success of the Spanish clothing chain Zara lies in part in its ability to provide shoppers with fresh stock on a bimonthly basis, operating on a finely-tuned business model based on accurate stock forecasts, lightning-quick response to new trends, attention to customers’ needs and consideration of external factors such as the time of year or even the weather. Supply chain management is a headache for many retailers, and not everyone has the resources of the major Spanish brand. With deep learning-powered automation however, this will no longer be the case. The transportation industry has been using the power of data for many years, tracking cargo via satellite and driver logs in order to optimise costs and transit times. Nowadays, huge quantities of data coupled with vastly improved computer power and algorithms enable retailers to efficiently optimise their performance and foresee potential disruptions. Ever-evolving customer demand, blink-and-you’ve-missed-it fashion movements and a highly competitive consumer landscape are all current causes for concern from a retail point of view. They no longer have to be, however. 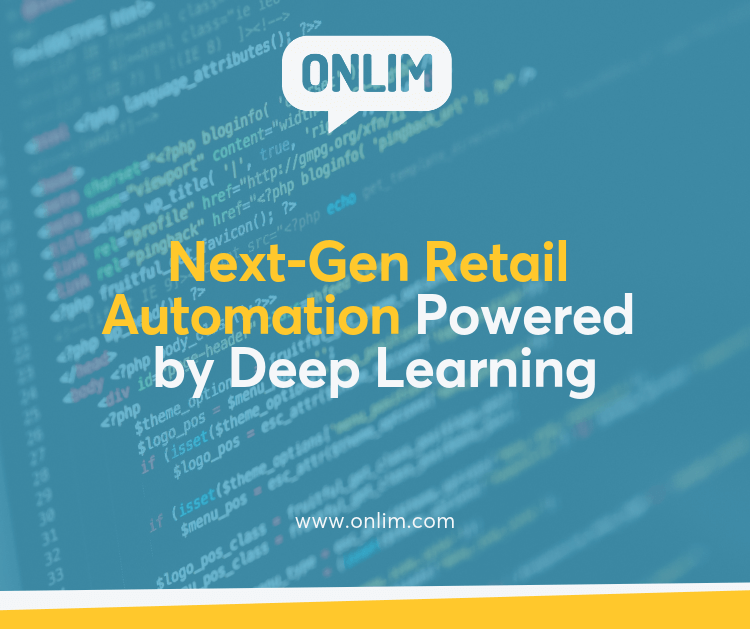 Over the next few years, automation coupled with deep learning promise to deliver great customer experiences, improve service across the board, and gain valuable insights to ultimately optimise supply chain performance. Michael is one of the editors of Qeedle (http://www.qeedle.com/), a small business magazine. When not blogging (or working), he can usually be spotted on the track, doing his laps, or with his nose deep in the latest John Grisham.